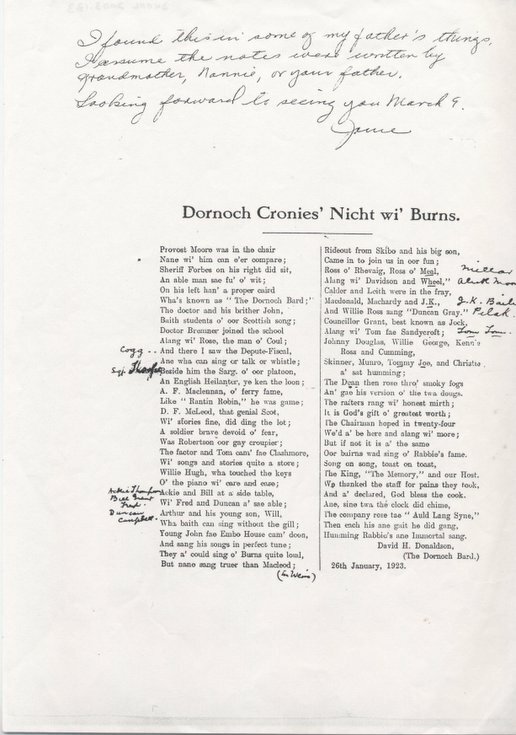 Copy of poem written by David H. Donaldson for Dornoch Burns Night 1923. Refers to various locals whose names are written in at the side. Also includes 5p list of participants with details and a single lined sheet with written corrections made by Adam Grant in 1991.